Launched over 80 years ago, Dettol has a vast range of products designed to help protect your family from harmful germs that can cause illness and to keep your home clean and fresh. Working alongside the Global Design Team at RB (Dettol's parent company), Brand Union and Van Berlo, we have worked on some fantastic innovations including products spanning both Healthy Home (Surface cleansers, Pourable liquids, Trigger sprays, Wipes etc.) and the Healthy Body portfolio (Handwash, Bar soap, Body wash, Shampoo etc.). With the vision of being 'The Trusted Champion of Health, everyday' echoing across every Dettol project brief, we have worked at ensuring this message is conveyed consistently and coherently across every touchpoint. Our Global Design Management role encompasses product, structural packaging and graphic design development, to design-driven innovation, and brand strategy - always lead by the mantra 'the experience of the brand, is the brand'. 'To win at shelf' is the ultimate goal for Dettol. Having a clear, recognisable product family that radiates the Dettol brand values and distinguishes itself from it's competitors, whatever the sector helps achieve this. Twinned with great innovation, clear and easy to navigate brand architecture, simple communication of the product benefits and harnessing the germ-kill heritage of the brand, Dettol is a truly global powerbrand and one we are proud to have worked with. Unlike any other FMCG brand, the range of products shown here goes some way in demonstrating the wide-reach of the Dettol brand. 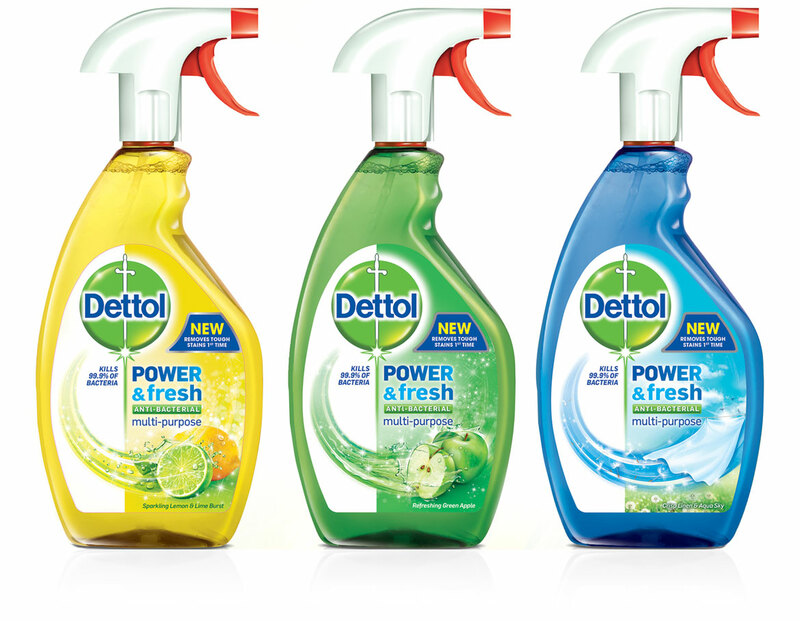 Never standing still, Dettol continues to innovate and attracts plaudits the world over. 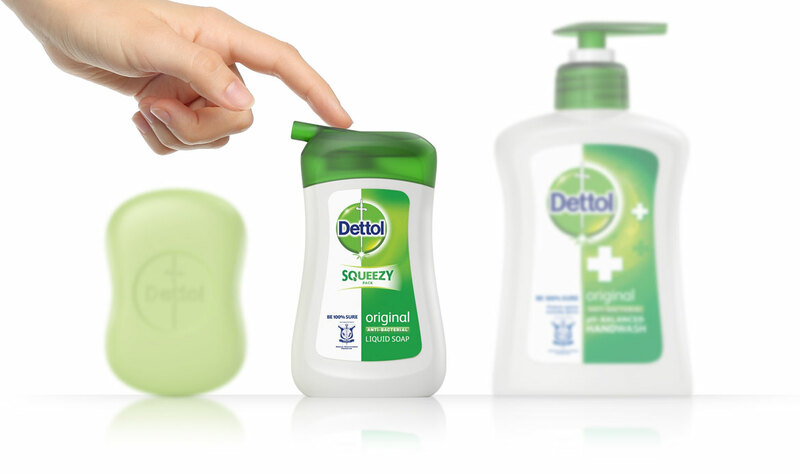 Recent awards include a prestigious iF award for Dettol Squeezy shown above - a more hygienic, superior and inexpensive hand-washing experience for millions of consumers.